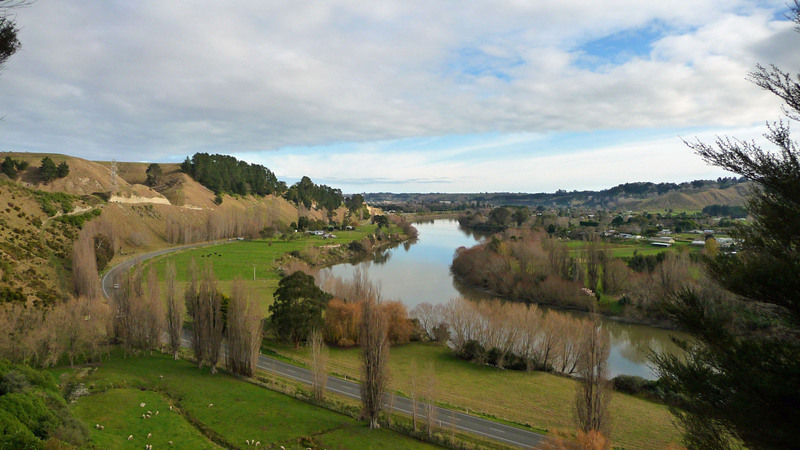 The Whanganui River definitely meanders. 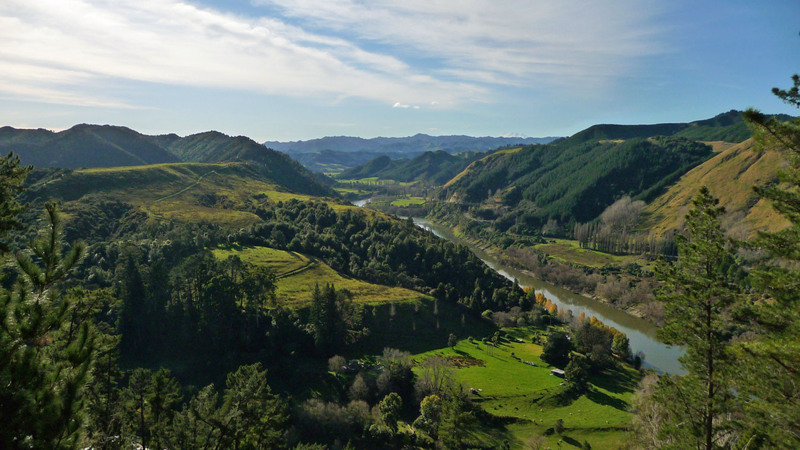 Driving alongside the Whanganui River Road, one is treated to a series of winding turns as the river makes it’s way from the central area of the North Island to the city of Wanganui, and the ocean beyond. It was here that I found myself travelling on a semi-sunny winter’s day. 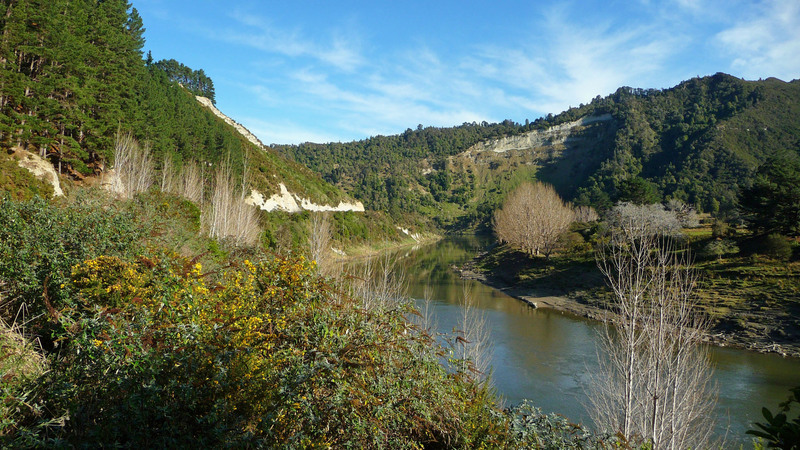 Once the Whanganui River road begins, you head into a peaceful, remote area of the interior. 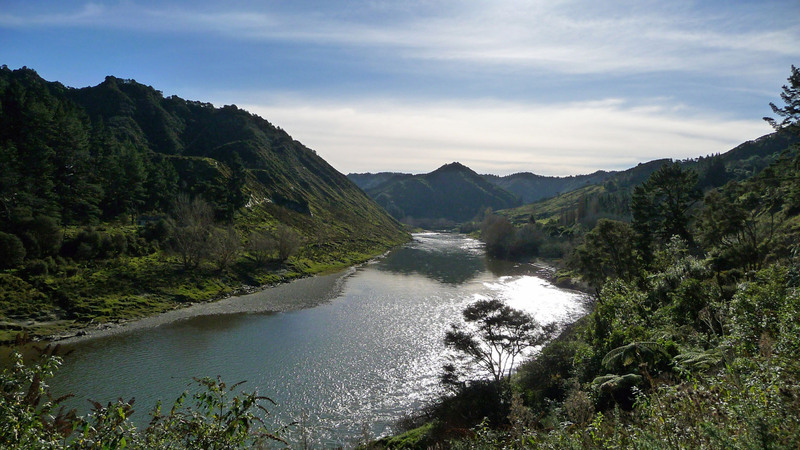 Just one of the many wide spaces of the Whanganui, when I stopped for a break along the side of the road. The road itself is carved into the left bank of the river, making it a very scenic, twisting drive. Further up the river road, I made a stop just outside of Atene for a hike up to a viewpoint. 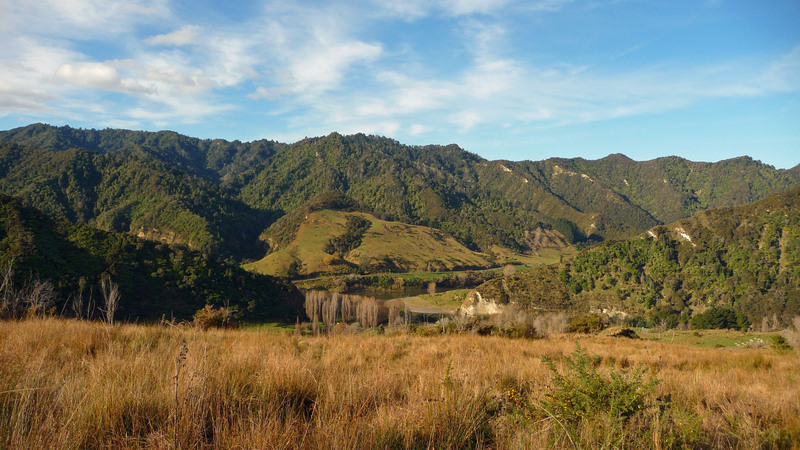 This spot is unique as it is an OLD Whanganui River meander – here, the river had carved it’s way through the valley to the left for many, many years. Then one day it found a shorter path (unseen, to the right), which allowed this section to dry up and become lush green grass. After the couple hours of hiking it took to get to that view point and back, I headed back to Wanganui, just in time for the sunset. I also got a treat, in seeing Mt. 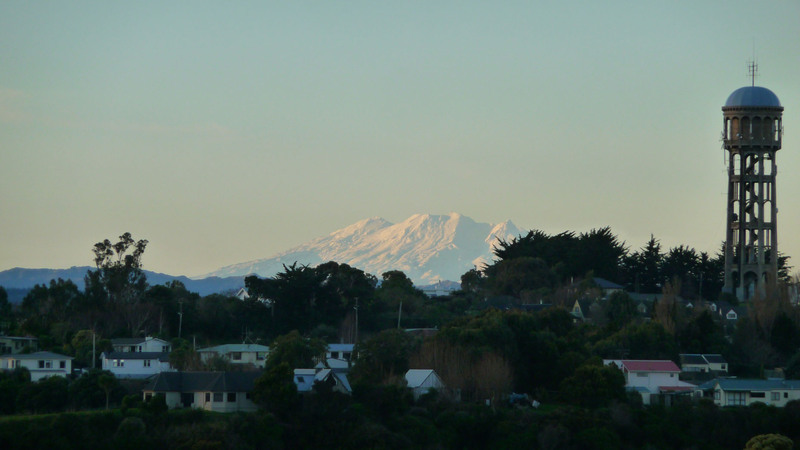 Ruapehu standing tall in the distance. I once again climbed the tower and enjoyed the sun setting on the town. From here, it was time once again to keep exploring the North Island – New Plymouth, and Mt. Taranaki, awaited. This entry was posted in Manawatu-Wanganui, New Zealand, Travel by Colin. Bookmark the permalink.